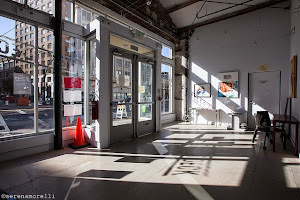 The Flight Deck is a collaborative arts space and performance venue in Downtown Oakland, where artists of all kinds and ages work, play, collaborate, learn and thrive. Created by host company Ragged Wing Ensemble, The Flight Deck is home to multiple artists and organizations, and contributes to Oakland’s cultural vibrancy. The space features a 99-seat black box theater, a rehearsal studio, a gallery and a co-working office.